Continuous advances in medical understanding are leading to rapid growth in the demand for diagnostic testing, making automation essential for laboratories trying to address this increase in their workloads. Many providers are also centralizing and consolidating testing to reduce costs, relying on instruments with higher throughput capacities to meet the demands of large service laboratories. 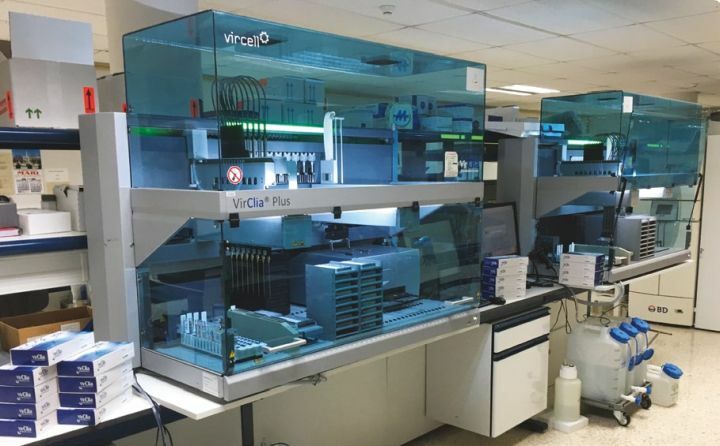 Spanish biotechnology company Vircell recently partnered with Tecan to create a high throughput automated system for its VirClia® assays, building on the success of the company’s existing VirClia instrument. "Tecan has an excellent reputation in the IVD market, and you can always be sure of the quality of its solutions." Chemiluminescent immunoassay (CLIA) techniques provide an ultrasensitive alternative to classical enzyme immunoassay formats, making them ideally suited to the detection of low abundance molecules, such as circulating biomarkers of infectious diseases. Vircell’s VirClia assays rely on an indirect CLIA method for signal generation, with all the calibration and standards included in each test strip to create a ‘monotest’ format. There is no need to run separate calibrators or quality controls, and labs can avoid batch testing, allowing faster turnaround of results using the company’s benchtop VirClia instrument. The result of this collaboration is a CEmarked, fully automated system with an on-deck capacity of up to 216 tests. Using an eight-channel pipetting arm, the VirClia Plus can process 96 tests in just three hours, with an integrated Infinite® 200 PRO multimode reader to allow fully automated measurement and reporting of results. It also offers automatic barcode scanning, custom assay set-up options and the ability to pipette directly from primary sample tubes, providing a flexible, reliable and effective solution for diagnostic labs and hospitals.